There’s only one thing that comes close to being as fulfilling and exciting as the love I feel for my little girl: having a creator’s heart, mind and spirit. Every moment at the keyboard has the potential for an explosion of creative possibility that fills me with such joy, awe and satisfaction that I feel grateful for being alive. It’s even more than this! I have such a firm belief in bringing my message to you in a fun, entertaining, innovative way, my soul feasts on the opportunity to engage with life-changing content. That’s why I’ve never experienced “writers block.” There’s always something to share. You can write freely too! When your awareness meets meaningfully with practical action, your core message can catalyse positive transformation globally and close to home. Lisa and I struck up a warm conversation in the park. Our daughters, who’d just met, played together like long lost friends, on the swings and slides. Our discussion came around to life. Brendon Burchard teaches that a clear message has four components so that it is enduring and relevant. The theoretical aspect sits at the base of a triangle which reaches to Transcendent at it’s pinnacle. Transcendent means that at the highest level of intention your personal or business message speaks to a societal theme or need such as love, peace, health, security, prosperity, happiness or the providing opportunities. It’s all very well to dream and set intentions – there’s a second half to having your message make waves in the world. You need to know your message, who it’s primarily for and what positive impact you intend your core song to have. Also have an awareness that your message will have outcomes you couldn’t imagine, haven’t thought of yet, and touch people in ways you may never even know about! When you know what it is you’re about and what you want to contribute then make your message widely available and accessible. I’ve spent years hidden on seventeen acres on an Island in New Zealand, expecting people just to know what I do. The fact is – why should anyone have bothered to find out? Now I see those years as lost opportunities to assist countless thousands of people to grow, to learn, to love and to give! How could “they” have known, if I was not bold enough or driven enough to get off the hill, out of my gate and talking to people about the bright possibilities of change. Make what you know accessible and available. Sing it out. You are the solution someone has been seeking. They don’t know you’re a bright light if you choose not to flip your switch and shine out. Your message will sustain and reach a wide number of people, if you can adapt the way you share it. Let’s be clear here. Always stay true to your message. You can deliver your message can be in many ways. I mean, vary the words you select, mix and match your mode of delivery: on and off-line, audio, video, published and spoken. It’s essential to stay on message and true. Always. The way you communicate your transformational message depends on the emotional resonance you can build with your audience, prospects and clients. Your transformational, transcendent message must be do-able! This is where your confidence, success and fulfilment rests. When you land practical ways to get your unique song out into the world so that others can become a community, applying what you have shared in order to improve the quality of their lives in some way, then you are leaving a legacy. Actionable transcendent, transformational messages are legacy builders. As you create your transcendent message as tools for positive change, you’re sewing the seeds of your uniqueness in the garden of an optimistic future – even for those yet to be born. Here’s to your transformational, transcendent and actionable message so that you can leave Your magnificent Legacy! Do you want write a book and you’re putting it off? Are you wondering how to get started and what to do to get your knowledge, insights and wisdom out of you and onto the blank page? If you have been thinking about writing your book, and you’re not sure of the steps or how to go about getting your experiences, and thoughts ideas out of you and into book form, you’ll be amazed by how easy it can be when you have the steps to follow. If you are ready for the personal and professional transformation and credibility that having your book written and published can bring you, join Nadine Love for your Writer’s Retreat so that you can become a published author in 2014! You’ll learn the essential steps to turn your book concept into your completed book that shares your unique message and your stories in your authentic voice. You’ll experience profound personal and professional transformation when you write and publish your book. You’ll experience increased personal credibility; expert status, exposure and legitimacy in your business when you’re a published author. Having your book available to inspire and instruct others creates a difference for you, your readers, your business and Our world! Register now for Nadine Love’s fun, focused Writer’s retreat packed full of everything you need to know to boost your creativity, productivity and book- writing abilities! You’ll even get to launch your book in style at the Love Books Festival in 2014. I 100% believe that this is the only way to gain real leverage in any market. “Thanks again for this excellent workshop. Talk about learning curve and value packed! And it is just the beginning of the journey. I am so fortunate to have the benefit of all your experience and knowledge as I move forward with this. I 100% believe that this is the only way to gain real leverage in any market. I am completely committed to this and am excited about it also! Really wonderful, Nadine. And thanks again for the accommodation and the wonderful nourishment both physical and spiritual. 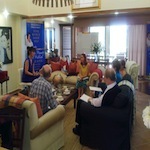 “Still coming back to earth after three fabulous days at the Nadine Love‘s Writers Retreat. For me an inspiring, truly life changing event shared with some wonderful colleagues and the magical Nadine. Buzzing today with all the things I have firmly set in train for the remainder of this year and the plans for next. Pulling the book out of myself and seeing just what a vast difference that makes to my life! I’m a futurist and I was incredibly interested to write a book. So I came on Nadine Love’s course and I’d like to say what an amazing event this has been to me. The most useful part of this course has been understanding really what a book can do for me, for my business. The other side, which is probably the biggest part of me is the transformation of pulling the book out of myself and seeing just what a vast difference that makes to my life. So thank you Nadine. It’s been an incredible journey. Easy To understand. Easy to Apply. So much Fun! 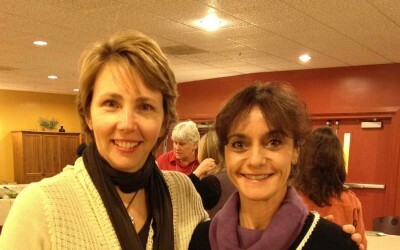 I just had fabulous three days with Nadine and her team on Writers Retreat. Having Nadine my mentor for the last two years, I knew she was the best person to take me on the writers journey as well and its been absolutely wonderful. With her system, it’s been easy. Each piece was broken down into pieces that were easy to understand, easy to apply. And now I have the chapters are going to my book, the title, why I’m doing it, and looking forward to exactly what I have planned for the next 12 months. It’s a beautiful journey. I highly recommend it. I had so much fun. And I know you will to – this is your chance to do it. The first transformational author experience galvanized me to complete my book, Hot Confidence. 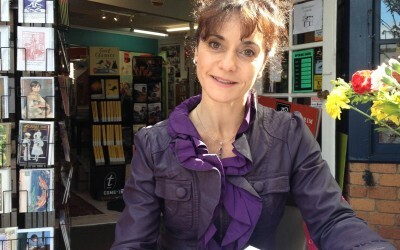 I was excited to win a top placement in the Transformational Authors Competition 2011. Here’s your chance to be part of this brilliant gathering of the who’s who in the Transformational Book publishing world. The TAE is set to launch again! This year I’m going to bring you the very best ways in which you can grow your business as a published author … an impact more lives with your message. You can join me in the TAE 2013 as a kick start. There’s more to come! Throughout history; books have played a critical role in impacting readers to create positive changes in their lives. Seeing that individual transformation impacts global transformation – it can be said the books truly do have the power to transform the world. And YOUR book can be one of those books that transforms lives forever. So, if you’re ready to take the next step with your book (even just a little bit interested in writing a book someday) you’ll want to join me for Christine Kloser’s Transformational Author Experience®. Christine is a transformational book coach and is offering one of the best trainings I’ve ever seen for authors. 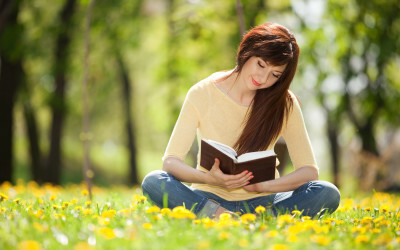 Her faculty includes Bestselling authors like Lisa Nichols, SARK, and Marianne Williamson, as well as publishing industry leaders like Reid Tracy (CEO and President of Hay House), Marc Allen (Publisher of Eckhart Tolle’s Power of Now), and Bill Gladstone (Neale Donald Walsch’s literary agent). And that’s just the beginning of what’s in store for you at her f-r-e-e Transformational Author Experience®. I hope you’ll take a look at what she’s put together for you and join us. It truly is a phenomenal program that has the power to transform your life if you let it… Click the link below to find out more, now. Christine Kloser, “The Transformation Catalyst” is a transformational book coach, spiritual guide and award-winning author whose spot-on guidance transforms the lives of visionary entrepreneurs and authors around the world. Her life-changing work is endorsed by many of today’s leading transformational authors, including: Neale Donald Walsch, Lisa Nichols, Sonia Choquette, Gay Hendricks, and more – and has appeared in media such as the Los Angeles Times, Entrepreneur, FOX News, Forbes.com, and PUBLISHED! Magazine. Her books and publications have also received numerous awards including the Nautilus Book Silver Award, Pinnacle Book Award, eLit Award, National Best Books Award, and the Apex Award for Publication Excellence. What if you knew how to live your vision with courage? Just imagine how freeing it could be to give yourself permission to be exactly where you are. 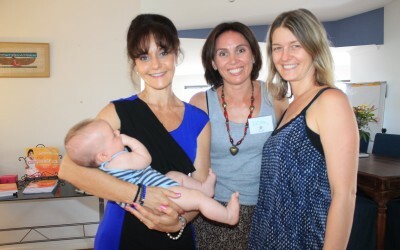 Carrie runs a very successful Sydney-based coaching practice. Her client list is full and she is in the process of writing a book based on her unique system focusing on change management. She’s enjoying a full and meaningful family life with her partner, John and their two children Jamie (6) and Tessa (3). It would seem as though she has everything going for her. Yet, Carrie wakes at 3.45 am each morning in a state of high anxiety. Her focus is on the internet business she has not yet created, the training company she intends to run and the home study guide she has not yet produced. She frets about the time she spends at her desk and working rather than attending to her young family and her husband. As a result of the fretful pattern she is running, Carrie is tired, rundown and unhappy. On the surface she lives a wonderful life, whilst somehow she chooses not to be present to enjoy it! Do you ever feel this way? There’s absolute merit in the fact that Carrie is clear about her direction. She knows where she’s heading, and if she gets out of her own way she’ll be as successful in her Training business as she is as a Coach. She has a clear vision that serves to sentence her to hostile imprisonment rather than providing her with the purpose and passion to greet every day with the positivity and productivity she’s capable of. To Carrie, it doesn’t always seem as simple as reminding herself to progress “Frame By Frame” as Anne Lamott writes in her outstanding book, Bird by Bird. Look at where you’d like to be. Let the living and the doing be graceful. Plan your access route within the ecology of your life. Say “No” to the three temptresses: comparing yourself to others, beating-up on yourself and indulging in self-sabotage. Have you wondered lately whether you are getting what you are worth? Are you ready to free yourself to Maximise What You Are Worth and Get it? We live in interesting times, straddling paradigms. The global economy is floundering. Politico’s are exploiting financial instability, oil and us. We are being cleverly manipulated worldwide by governments into a fully intentional frenzy of hidden taxes, covert martial law, and fear driven destabilization. We’re riding the end of an old order, still slap-bang in it’s midst. Deepak Chopra calls for a shift. His banner is for peace instead of war, a green economy, nurturance of the ecosystem – and – to reach for “the kingdom of heaven inside you”. Getting what you’re worth is all about the personal meaning you give to Money, Your Worth and Your Wealth in the World. And that is made up of your values, your beliefs and the resulting choices you make. How you view your worth is a reflection of your self-esteem if you’re feeling edgy about this important subject and my raising it – then that’s an indication some courageous inner work may benefit. Is that cheeky? 2. Who is to make a judgment call on that? Whilst Deepak’s point is clear about reckless squandering of the money, how meaning is derived is driven by our values and beliefs. Deepak’s definition of Wealth embraces core qualities, states and required actions. I like that. Certainly, in line with the basic tenets of Positive Psychology, creating Resilience in Individuals and even Entrepreneurial Mindset. It seems to me that there are 5 steps (“The Get Your Worth 5”) that are applicable within the current paradigm, would serve the straddle (they are for me), and hold weight whatever the new order brings. Applying The Get Your Worth 5 could shape the worry-free world you dream of. 2. Mastery over your state and your choices about your worth. Applying The Get Your Worth 5 could shape the worry-free world you dream of. your big enough reason to leap out of bed in the morning and get on with smart living. Be bold! Put into your words what wealth is to you. When you can speak it, you’re closer to having it than you’ve ever been. 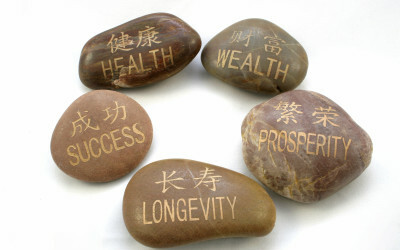 Add your own definition of Wealth and you’re Free to Maximize and Magnetize What You Are Worth. Do you have a cause your really care about? Is there a particular global issue that gets under your skin and makes you want to shout out about it? Have you ever felt so saddened by the enormity of world problems affecting our environment, dwindling resources, finances, the rate of extinction of our flora and fauna, people pre- during or post war, some states of humanity …. that you shut down or move into a space of denial, hopelessness or helplessness? 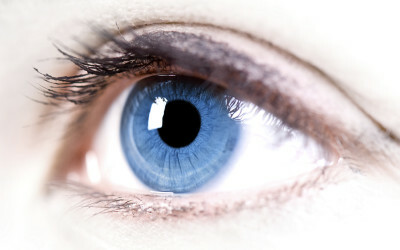 Quantum physics is clear that we attract more of what we are. Therefore it would be fair to say that shutting down, getting sad or mad doesn’t help your mission. In fact, the opposite is true. Learning and education are tops for me. At a recent seminar for post and present students of Futures Studies at the University of the Sunshine Coast, Futurist Jose Ramos of Melbourne, Australia shared educator David Hicks’ five psychological stages that are triggered as global challenges and issues are considered. I want to bring Hicks’ clarity to you because you can apply these stages to the way you view your own process in terms of the concerns in your life. 1. Stage One starts at the information gathering, cognitive level – where global issues are intellectualized. 2. Sadness, worry, frustration and anxiety may set in as you think about two hundred species becoming extinct each day, or you consider the plight of the moonbeams or the polar ice-cap melt. This is the second of Hick’s phases which engages the emotions. This he calls the affective stage where your sense of emotional responsibility is heightened and your levels of despair for the planet are deep. My partner, Derek – talks about “going into a black hole”. Can your relate to that? 3. The third stage is existential where you can reinterpret who you are in a new context. You might challenge existing identities and practices and rethink who your early are in the context of any new learning you’re acquiring along the way. 4. When you enter a sense of agency and engage flexible pathways paved by new solutions, attitudes and methodologies – you become the change agent. This is the empowerment stage in David Hicks’ model, and the fourth phase. 5. Transformative projects that are practically embedded, with individuals, communities, organisations constitute the fifth level of the process. This is where action instigates experiential change. If there the empowerment and action stages are missing, it’s impossible to move through the existential shift and you’ll experience escapism or denial. Therefore the fourth and fifth phases are fundamental. Please note, this process is not linear, rather a dynamic synthesis of parts of a process engendering a journey that begins in awareness and, hopefully instigates positive transformation in the world. Hicks, D. 2002. ‘Lessons for the future, the missing dimension in education’. Teaching about global issues, the need for holistic learning.London / NY: Routledge Falmer. Here’s to Your empowered action-taking and Your magnificence! I was so excited to be interviewed on Dr Pat’s Transformation Talk Radio Show not only because Dr Pat is such a sincere, brilliant luminary in the world of positive transformation – it’s even more than that! The theme of the show was how to help people on the basis that everyone in the world is called to shine and creating an epic life is our birthright. This is such a core concept for me. You have everything within you, right now, to live an extraordinary life. If it is true that creating an epic life is our birthright, then how come it can seem that there’s a counter-movement conspiracy? Our governments, mainstream education systems and the very fabric of the family unit in western society seem to be plugged into a matrix set against individuality, health, happiness and success. And then again, perhaps it depends where you hang out and with whom. With the knowledge that you can turn around inherited beliefs and values in a heartbeat when you have awareness, it becomes possible to choose what to make-up to support where you want to go in life and who you want to become. Is it possible that the rise of the techo-spiritual wave for more mindfulness in business and the rapid multi-media spread of awakening consciousness is paving the way for a new-look call to shine? With over seventy per cent of new businesses spearheaded by women, there certainly is a rise of the feminine. What this might mean our planet is that the type of masculine warrior-focus on dominance and sledge-hammer rulership of a part for the good of one (rather than to serve all) could be replaced by greater collaboration, intuitive, inclusive, flexible governance and caring initiatives based on the appreciation of the needs of the whole. What can you do right now as you answer your call to shine? A profound first step might be to understand the top fears that all human beings face and how these fears are playing out in your life. You can find out more about these fears in my book HotConfidence: Conscious Pathways to Take You from Mini-Me to Magnificent. You’ll learn how you can stop self-sabotage, procrastination and build your self-belief and self-confidence. In your increasing awareness of how you are affected and what it would help you to change in order to be your brightest self, your epic life unfolds. Your darkest moments are the springboard from which you can leap into your fullest potential if you choose to make it so! We set our kids up for life. Mira’s seventh birthday sleep-over brought together four little girls between the ages of 6 and 7. They’ve known each other since Kindy, (from around three years old). All from privileged middle-class families. Derek and I were left with a poignant reminder of the massive impact we have on our children’s responses, personalities and patterning. We emerged more passionate than ever to strive to be aware, awake and taking full responsibility for our language, behaviour and choices. Our concern, sadness and compassion was raised by survival strategies that two of the girls have already formed. One child arrived showing the signs of obvious neglect. Her unwashed hair had to be treated for head-lice. She settled for the night in a pull-up nappy, on a yoga mat because she still wets the bed. In the morning, the other children were vocal about the smell. She didn’t seem to know how to shower herself. A dramatic, tearful tantrum punctuated her departure. Another of the girls – seven years old – has severe issues around food, feigned throwing up and separated herself from the group, skulking off to be on her own. We see it as our privilege to be and do whatever we can to raise our daughter respectfully with love, care and the attention she deserves. She is the most important creation in our world. The future is hers. There was one other family, (of the four that shared their daughters) with similar values – and it showed. The levels of confidence, generosity, resourcefulness and independence of one of the other girls sang of the support, care and attention she consistently receives from her mum and dad. Seven is a big one. Up until the age of seven our critical faculty hasn’t developed and we’re like sponges. We soak up everything around us and accept what we absorb as true, particularly when it comes from our parents. It’s during these early years, values are shaped and our neural pathways are set to play the tunes to which we’ll dance for the rest of our lives, unless we choose to change this deep patterning. The innocently accepted beliefs, confusion and bewilderment experienced in early childhood can lead to the early formation of challenges, trauma and hugely unresourceful strategies for seeking attention and to get our needs met. I have to believe that parents want the very best for their children. It is true that unless we’re taking steps to transform, we’re driving our lives from our own child-self aged seven or younger. That’s a sobering thought. Awesome that positive transformation can happen in a heart-beat. What’s the first step? To front up to our winning formulae as parents and discover resourceful ways of meeting our own needs to belong, be loved and feel good enough so that we can be there fully for our kids. It’s time to get over ourselves: It’s our kids that count, isn’t it? “How you you perceive yourself?” slashed across the student-filled training room and landed in my heart. What a great question. I stood out front and grappled for an inspiring answer. I didn’t answer directly. Or fully. I’ve been thinking about it ever since. I wonder what you’d answer. Is the answer to the question “How you you perceive yourself?” the response you’d like to live with? My first attempt at answering was a soft-touch mumble, claiming the words “Change-Agent”. That sure wasn’t peppy, pithy and precise enough. Nope, that didn’t go the distance. I ramped up the passion. That isn’t the whole story either! If it’s so that your thoughts influence your reality and your experience of your world, then self perception does matter! What you think about yourself contributes majorly to your life experience, your health, happiness, wealth and relationships. Furthermore, if you know your preferred outcomes, there are a set of self-perceptions it’s useful to cultivate in order to achieve and surpass your dreams. All of these self-perceptions feed into having a clear sense of possible outcomes. Self-perception is a powerful piece to master. It plugs right into self-belief, self-confidence and self-worth. It has served me well to live into being the person I aspire to be right now. In practice that means many things. There’s momentum when self-perception aligns with purpose, passion and action. If you’re seeking a rapid reality shift, then extraordinary possibilities can root and grow when your self perception aligns with your direction. This is true, because our beliefs create our values. The deeper aspects of this conversation tap into understanding how self-perception is formed and taking the actions necessary to shift self-perception into alignment with your goals, visions, quest, mission and legacy. Now we’re talking! Taoist philosophy suggests the minute you label who you are you limit who you might become. On the other hand when you can put your thoughts into words it becomes possible to have that which you’re considering. As human beings, we’re dynamic and evolving. Therefore, my answer today to the question “How you you perceive yourself?” may not be the same as the answer I might give tomorrow. That’s an awesome valentine’s question, isn’t it? If you are looking to improve the way you think about yourself grab a copy of my book Hot Confidence: Conscious Pathways to Take You From Mini-me to Magnificent. Go to Hot Confidence.com for your copy, Now! How much of what you do every day you do because it’s is expected? Are you living a life full of should’s, musts and have to’s rather than living a pleasure-filled life? (ii) igniting creativity and engaging the dynamic flow of masculine and feminine energy. Each of these parts is an adventure to be had and continued. Their coming together, I imagine to be what Mihaly Cziksentmihalyi called “Flow”. Cziksentmihalyi identified seven qualities in the state of flow. What are we aiming for to Be in Flow? Total involvement in what we are doing – engaged, concentrated and focused. Inner Clarity – knowing what needs to be done and measuring our achievements resourcefully. Knowing that the activity is doable – that you have the skills you require for the task at hand. A sense of serenity – unconscious competence, present and a feeling of growing behind the boundaries of the ego. Mihaly Czikszentmihalyi, regards his concept of flow, (for which he is renowned) as the answer to “What makes human beings happy?” Flow is “an almost automatic, effortless, yet highly focused state of consciousness” that you can experience when you devote yourself to a meaningful challenge, particularly one in which you are skilful. Flow is often experienced by people who are being creative. Such as composers, artists, actors and writers. Athletes, dancers, figure skaters, martial arts experts, monks, nuns and conscious entrepreneurs are amongst others who experience flow. Czikszentmihalyi’s offers a scientific explanation of what might sound like a mystical experience, in his TED talk. Our nervous system can only process about 110 bits of information per second. Listening to someone speak takes up about 60 bits of neurological bandwidth, which explains why we can’t listen to more than one person at a time. Czikszentmihalyi refers to an example of a composer who is so focused on his music, he is taking up all of his available bandwidth, leaving none to monitor his sense of self. You can discover more about healing and balancing your relationship with life in “Reclaiming Your Right To Be!” a tele seminar I’m running as part of the Hot Confidence Teleseminar Series. The audio class runs on 1st February. If you want to find out more about engaging your creativity, igniting your passion and getting to grips with masculine and feminine energy so that you can experience your own magnetic allure, then the Audio Class to run on 8th February titled “Ignite Your Passion, Fire Your Desire and Spark Up your Magnetic Appeal.” This class is part of the Hot Confidence Teleseminar Series. You can find out more at HotConfidence.com/teleseminars. I’ve distilled five of the most valuable tools that worked for me to assist you to be unsinkable, too, when times get tough. As they do. Setting a bigger intention: In the darkest moment this morning, when threatening, harassment and abusive behaviour triggered an old and fearful story in my cell structure, I told myself spontaneously “Something great, bold and magnificent will come of this that will bring happiness and prosperity to many.” That intention gave me a rise of hope shifted my perspective, allowing the old negative pattern to dissolve and a wave of purposeful calm carried me through the reset of the remaining issues to deal with. The intention allowed me to see that there were people who were being kind and generous: the lawyer, the police officer, my partner. Clearing limiting beliefs: 96 % of our behaviour and responses is driven by the unconscious mind. Staggering. Knowing this meant that I was on the look out for limiting beliefs locking me into patterns of response that may not have served me. I had a dream a few nights ago where a five year old child was sitting on my lap, driving a fast red sports car along a highway at top speed. I couldn’t see over her head. I knew she was me, and I was not in control of the car. What a brilliant dream! That five year old will sit in the drivers seat of my life unless I put her in the back of the car in her car seat and buckle her in. This is what I did, today. I took a vacuum cleaner to my mind and cleared away some of the clutter. oh how good it felt to dive in to the still too cold to swim in swimming pool, after! I am so grateful for the glistening water three steps from my balcony. An example of a belief I cleared today: “Employees always let me down, don’t deliver and are a headache” Ouch. That is what I have been experiencing, little wonder. With the exception of my awesome Virtual Assistant and an outstanding Editor. Surrender to What Is: This is a big one. The brou-ha-ha today took me off of the course of writing my blog and sending out my newsletter, as well as four other important tasks on my list. So be it!There was a time the slave-driver in me would have gone nuts! So fully did I move to acceptance I broke one of my own rules around maximising on work and I went for an hour long walk at 4pm after my chilly dip. I feel fantastic on it, and here I am! Let go of the past: no stories, no juicing. Man, I was proud of this one! The whole situation has no emotional charge for me, now. There is, of course backing up the mop up, which may involve commencing legal proceedings and other actions I would rather not have to tangle with. I have mental space around it and no drama. Trust in What is to Come: Building on the hope instilled by the bigger intention, believe in the miracles to come. As part of my morning walk ritual, one of my favourite incantations is “I am open to receiving the gifts, surprises and miracles of the Universe” I know that there is so much good to come, so much abundance and so much more to share. yet again to trust my instincts. The internal whisper said “NO” when I got caught up with both of the people with whom I struck up business associations that went to custard today. I powered on against my own knowing and I got burned. It’s a gift of a lesson to learn again. The experience was what it was, my feelings were what they were and in the middle was what I decided to do with those feelings. The safety tree was right there when the forest was burning, protecting canopy and carpet. I chose to see the safety tree. My hope is that when life tests you, you will too, so that you can mine the gold in the goo. I’d love to hear your comments and responses. Which of these resonate with you? What do you do to bounce back? Have you ever been at a fork in the road? There’s the perceived pressure on you to have it all figured out. Add to that, the expectation to steam towards a) what you’re “meant to be doing” and b) whats “responsible” to pay the bills, right? To keep you interested there needs to be sufficient meaning in the doing to make it all worth while. Can you relate? Perhaps you’ll agree that spending time in a different place invites fresh perspectives? I’ve just returned from the buzzing city of Melbourne energized, appreciative and inspired. What excited me most was the quality of meaningful conversation between people at the Coaching Institute’s amazing new premises – in and out of the training room. That’s rare in life, wouldn’t you say? When there’s a communication currency of care and gratitude, it’s easy to remain aligned and on track. However, there was something missing! From my arty hotel room, I was weighing up options that will change the course of my life and impact hugely on my family. I was (and am) grateful for the choices, possibilities, options. Taking care of business while staying true to being a mum and to myself. Fulfilling my mission in life to facilitate positive options for transformation and contribution. I could fret about my quandary, let it take over my day in a heavy, worry filled fog. I could choose to turn this into a nail-biting saga. Or I could point the flashlight of my mind on the thrill of the challenge: the power of choice I do have in this. I might top that all off with a dollop of irreverence. That would be different! As the art-work lifted my spirits I laughed inwardly. It’s funny how the answers are always inside, waiting to be discovered. Even though the specific solutions to my issue seemed evasive, I’d remembered something key to approaching life in healthy, productive way! Whilst delivering a segment at a coach training, that morning I was reminded how important it is to add fun into the mix. I’d made the mistake of deleting the possible laughter. I’d taken things way too seriously and in that choice, I hadn’t given students the experience they deserved. Ouch! What a great lesson. I responded to the clarion-call for more joy and play in my life. With fun firmly in my pocket, the day felt different. It’s said that fairies fly because they take themselves lightly. Here’s to the childlike wonder and play as the wind under the wings of purpose! Thank you to Australian AristCharles Blackman for the themed images in this Article. “You’re plain, unattractive and if you think you’ll ever catch a man you’d better do something about yourself!” Her father’s voice boomed. Lucy slammed her door and burrowed beneath her quilt. She could not hide from the crushed feeling that followed her everywhere she went. It even followed her in and out of the shower. The weight of it closed her heart to what might be, and dragged her into the maze of resignation and hopelessness. Lucy was the middle sister. Rachel the oldest, was a stunning, tall redhead with a vivacious personality and kind heart. She attracted tons of attention wherever she went and was well-loved by all who met her. Patsy was the youngest. Petite, cute and funny. Her freckled smile and bright, engaging manner won her love and attention. At school Lucy was a loner. She was compared unfavourably to her sisters by her teachers. She was never very popular and attracted no attention from boys. Lucy got away! When She left school, she accepted a position that took her overseas, to Canada. The timid New Zealander blossomed into a beauty. Her luscious blonde curls, and curvy, fit figure – her sharp wit and sense of humour made her very popular amongst her male colleagues. Her relationships followed a pattern: They started off hot and wonderful. Within a few months they soured and soon ended. No-matter what Lucy did, she couldn’t seem to have a relationship that lasted longer than six months. What was going on? Lucy’s subconscious patterning meant that she sabotaged her relationships by becoming demanding, controlling, possessive, argumentative and retreating inside herself. Her childhood and school years continually reinforced her belief that she was undesirable to men and not attractive enough to be with them and so she created that. She continually ended relationships she subconsciously believed she didn’t deserve. Lucy saw the pattern. She was holding onto old beliefs that she was unattractive, undesirable and unworthy of male attention. I guided her through processes to clear the limiting beliefs she had collected, installed more resourceful strategies and relationship rules and values. The outcome for Lucy speaks for itself: She’s been with Geoff for over two years. They plan to marry as soon as he qualifies fully as a GP. What are some of the areas in which you may have beliefs that are causing you sabotage in your life? Where is your life hitting a plateau and levelling out – so no matter what else you seem to do, your life remains the same? Childhood beliefs are formed by your parents or primary carers, the people you meet and the experiences you have with them. These beliefs are then reinforced during your school years or replaced by different ones. The majority of your beliefs, values, attitudes and filters were established before you were 7 years of age. For many there is a deeply anchored pattern of connecting failure with perceived pleasure – for example if you received love and attention as a child when you failed at something or were ill, then an association between the two is made in your subconscious. If you received some sort of reward after experiencing pain or shame, failure or loss then that way pleasure can be linked to those experiences. If for example after a relationship ends you take a holiday to get over it – you may learn to reward yourself for ended relationships. When life shifts, sometimes your subconscious doesn’t want to! Changes in your life can be associated with pain. Such as frequently changing location as a child – moving a lot entailing moving home, school, change brought on my death of a close family member or pet, divorce. This could cause you to sabotage things in your life that could take you in a new direction such as a new job or marriage. Low self esteem, low self worth and low self belief can cause you to miss out on many great opportunities because you just don’t see them! This is a major source of self sabotage and most commonly established during your childhood when your core beliefs and filters were set in place. When you have low self esteem, you become very clear as to what you feel you can and can’t achieve. One manifestation of low self worth is seen in romantic relationships where a person doesn’t believe they can attract another, as Lucy’s story illustrates. Her relationship roller coaster has a happy ending. Will yours? you’re welcome to attend the tele seminar I’m offering titled “Meet Your Mini-Me: Revealing the Truth about Self-Sabotage, Self-Talk, and Self-Knowledge!” Go to HotConfidence.com/teleseminars to register. I was ready before dawn. I sat in my favorite blue chair to greet 2013, as my man and little girl slept on. Share the start of my year. In your mind’s eye, together let’s look at our expansive views, out to sea. Join me now as we relive the moment when the first rays of new year sunlight painted the sky pink and gold. What was I doing? Setting my focus for the year ahead. I was writing in my journal, clearly and specifically, what I intend to bring in over the next 12 months. My quiet contemplation was preceded with a meditation of gratitude and setting of intention – and followed by sending love, vitality, peace – and gratitude ahead of me into the year to come. How fabulous is that? As I arrive at each day – love, vitality, peace and gratitude are already set to greet me. What would you like to meet you? The time is now to set it up! It’s true that energy flows where the focus goes! It’s said: What you focus on you get. One of my favorite conversations about focus is the time Tony Robbins met Nelson Mandela. The same year Viennese Viktor Emil Frankl married, his father, mother, brother and new wife were arrested. It was 1942. They were brought to the concentration camp at Theresienstadt in Bohemia, where His father died. His wife was transported to Bergen-Belsen, where she died in 1945. He realized that if he focused on his love for his wife, even in a world where a man is stripped of everything, he could feel bliss – even if only for a brief moment. Throughout his ordeal, he noticed , among those given a chance for survival, it was those who held on to a vision of the future –– whether it be a significant task before them, or a return to their loved ones — that were most likely to survive their suffering. Have you ever thought that someone was deliberately ignoring you or putting you down, or deceiving you behind your back? How did you feel in that moment? Were you frustrated, hurt, angry or upset? How about when you found out that they had not done it to begin with? How did you feel then? Did you feel embarrassed or upset with yourself? How were you able to feel those emotions initially, even though the deceit never happened? Now. Think of someone you really love for a moment. Really feel them next to you. Take a minute, close your eyes and imagine their presence. What did you notice? Were you aware of their voice quality or a sound you associate with them? Did you just feel full of love, as if that person was actually there with you? The reason this happens is because your mind doesn’t differentiate between something you are actually experiencing, and something that is only in your mind. You have around sixty thousand thoughts each day. Think about that. Some say that they have the same handful of thoughts over and over again, repeating 10 000 times – could be true! Your thoughts emerge out of energy patterns set in response to the events in your life. Your inner dialogue is shaped by the voices of people in your past, mingled with the vast echo of all the influences in your life. You then filter information and comment, in line with the rules of your beliefs and values. Let’s look at your life: See your life as it is and take a moment to consider the types of realities you’re focusing on in your own life. If you’re not enjoying success in all areas of your life, then something you’re focusing on and saying to yourself about your achievements and your capacity to achieve may be reinforcing a pattern of self-sabotage. On average, you’ll only remember five percent of the positives, the compliments, and the constructive perceptions people share with you. This is in contrast to ninety-five percent of the negative comments that stick fast and grip your memory. Our thoughts determine so much of what happens in our lives. If we absorb ourselves in our thoughts of fear, not being good enough, loss, regret, anguish, shame, dissatisfaction, disappointment, disagreement, of being let down, and of what people haven’t done for us, how do you think we’re going to feel? If you choose to focus on problem, problem, problem – what do you think you’ll attract more of? What if you immerse yourself in thoughts of how generous people are, how wonderful, how gifted, how kind people are, of how supported you feel, and how much you enjoy the company of the people around you. How much you are growing by virtue of making resourceful choices that support your vision, goals and intentions? How do you imagine you’re going to feel then? If you were to fill yourself every day with these thoughts of support, what influence do you think it would have on the choices that you would make, on your decisions, on your reactions, your responses, on all of your behaviour? What difference would this focus make on your reality and your experience of life ? Your mind is an incredibly powerful magnet, and as such, attracts to you whatever corresponds to its ruling state. Focus can, literally, turn your life around for the better. Optimists achieve more, perform better, persist longer, live longer, take more risks, have more confidence, enjoy better health, and have a more positive experience of life than pessimists. What you focus on you’ll feel. By knowing you have this power, how quickly can you choose to change the way you feel? In order to fully enhance the quality of our lives, and achieve at our peak, its important to choose wisely in the way our attention is being focused. As an evolving species we human beings strive for: health, to live in peace, security, fairness, equality, opportunity, prosperity, happiness , love. Where do you imagine we must focus if our lives are defined by the fact that our minds will find what we focus on? Now let’s consider your very best 2013 – What are the top three things you’ll focus on to bring in your most magnificent year ever? Here’s to your magnificent, happy, healthy – love filled 2013! If you’re out there still sitting on the fence about setting yourself even a few clear visions, goals and outcomes for 2013 – then this is for you. Believe me, I know how your anxiety can build when it seems as though everyone around you know what they want, or at least has a sense of where they’re heading. Meanwhile, your pond is muddy and far from clear and possible pathways disappear in a mirage of confusion. The harder you try to capture the fireflies that may lead toward your destiny, the faster they dart in opposing directions. Can you relate to that? I know how frustrating it can be to caught in the quicksand of wondering what’s next, when all about you seem on track. It’s excruciating, isn’t it? Not to mention harsh on the old self-esteem. In September of 2011 I declared 2012 “Year of the Book” and decided I would have three books published by the end of 2012. Let me qualify. When I meant books I didn’t mean ebooks or books written by some shadow writer: I meant “real books”. Books that meant something, looked and felt beautiful, were well written by me fully and completely and above, all, books that created a difference in the world. I also determined to have wonderful high-end-clients – change-makers in their own right – who could utilise my knowledge, practical systems and expertise to benefit their lives personally and professionally. I decided to change the structure of my working week, moving away from a model of sessional mentoring to exclusive full day packages with the majority of my clients who fly in from all over the world, attending for an average of eight days to facilitate superlative positive transformation of themselves and their businesses. The very first step is to set your mind to your goal for your greater good and the good of all, align your heart and back all of that with action. Then enjoy the unfoldment as your dream becomes a reality. It worked for me! To your magnificence, clarity and the inevitable unfoldment of your successes Nadine P.S. I named 2012 Year of the Book what do you declare 2013 to be for you? (This level of focus and clear language brings your outcomes in. It’s worth considering, hm? Blaise saw herself as hitting up against the old boundary conditions that held her weight at 56 kilos rather than 52; her finances remained beneath the $100 000 mark and she was in yet another relationship with a man who couldn’t fully commit to her. Just before my 10 am client, Carrie, called in for her session, I answered my cellphone because I recognised Lisa’s number. Lisa is one of my Diamond Member Clients. She wasn’t due to call until the next day. I’m glad I picked up. ” I’ve been awake since 1.30 am and couldn’t get back to sleep. I’m scared. (Lisa sobbed) I published my book. Branded my business. I’ve had such a great year, I’m so grateful to you. And I’m so terrified. I’m not sure what’s going on. I’m not sticking to my accountabilities. I haven’t written that proposal, or completed my recording, or written the copy for that last web-page…” Lisa’s voice trailed off into tears. Can you relate to Blaise, Lisa or Carrie? Other people seem to be celebrating their great successes and getting on with their lives and yet you notice that there are some old familiar patterns resurfacing that you’d love to leave behind you. If you can, it might be time to review, reframe and re-energize! Know this: When you are about to step up and make a quantum jump in your learning, business or life you could bump into what I call your Anxiety Alarm. The anxiety alarm is an ego driven buffer that sets off to keep you safe, small and within the known zone. It’s one of the faces of what I call in my book “Hot Confidence”, your mini-me. Whilst your Anxiety Alarm wants to convince you it’s there to protect you and maintain a space of calm, composure, contentment, reassurance and confidence – the opposite is true. When you think of yourself in a way that doesn’t serve who you’d like to be and what you’d like to achieve in your life, the consequence is self-sabotage. Self-sabotage sets tempo of your Anxiety Alarm. Here’s how to move through the panic space with grace and enjoy the rewards of renewed vitality, focus, love, happiness and success! 1. Acknowledge the part of you that is driving the self – sabotage. Remember it is an aspect of you only and rather than the whole of you. 2. Remind yourself that the self-saboteur (your mini-me) was born out of your life experience and at one time served you. 3. Identify the wounding. This is possibly the most important and the most challenging step to take. In order to free yourself, get really curious about the original experience where your self-diminishing, self-destructive behaviour was born. It’s only by returning to the very first time, the wounding, to change the meaning you gave it – that you’ll free yourself. 4. It’s time to create new meaning around the experience, reframe it, tease out your learnings from that event. 5. Name alternative courses of behaviour, thoughts and things you can say to yourself that will serve, support and nurture the very best version of yourself. Blaise, Lisa and Carrie recognised what they were choosing to recreate. For each of them, their panic and self- sabotaging behaviours surfaced as they were about to step-up and be visible in their careers. Respectfully and with appreciation, the defining moments that set their limiting patterns in motion were identified, explored, respected and transformed. I know it will be an outstanding year for her, for Lisa and Blaise, too. I wish the same for you! To Your magnificence, happiness and health! Are you setting aside time to dream, vision and focus on how you would like yourself and your life to be by this time next year? It’s time to evaluate what worked over the last eleven months and what didn’t. If you haven’t already blocked out time in your diary to give yourself the space to mull over the areas of your life, to acknowledge those things that you achieved and to consciously ditch the pieces that aren’t serving you, then open your calendar right now and create the space to do some thinking! My next posts are about some of the approaches to setting up an extraordinary year, that have proved outstanding for me. I trust you’ll find something of value in these frameworks for evaluating your year and bringing on happiness, health, wealth and success in the year to come. This article is shares an approach inspired by Walt Disney’s creative spatial strategy for brainstorming. Did you know that Walt Disney conducted the mind-mapping sessions and planning for his magnificent movies with his teams, making use of three dedicated spaces. I’ve based my Make-It-Happen Map-Out-Your-Year model on this brilliant idea. It works because it encourages free thinking, the consideration of realities and practical application. I’d like to share it with you so that you can positively transform your year! The first area is a “Dream Space” where anything and everything goes, free of editing or censorship. This is the space to cast and wide net in your imaginings. The second zone is a “Reality Space” where your wild and wonderful conceptualising is tamed and funnelled into what might be possible in terms of the ecology of life. The third domain is the “Make-It-Happen Space” where you figure out the practicalities of how to put your ideas into motion! My review of the current year , works the Disney spaces in reverse order. I enter the I Made It Happen Space as I review, acknowledge and rethink. Then I welcome expanded perspectives and reframes on the year in the Reality space. The Dream space is a segue into the new. In the Dream Space I employ what worked well and also projects in progress as a bridge into the coming months. By virtue of being in the dream space, it’s permissible to play with existing projects to discover new dimensions – even if that means once I reach the reality space and Make it happen space for the new year those fresh perspectives are rejected. Rich, new awarenesses are usually the result of revisiting current activities. And then it’s time to revel in the Dream Space for the new year, with a fresh mind, open heart and clarifying intentions. You can then bring your ideas, visions and the fireworks of your heart, mind and soul into the Reality Space in order to appreciate what’s possible within your world as it is and as you would like it to be. It’s here you’d consider things such as time, cost, family commitments, financial obligations and choices and so on. From the Reality Space move to the here’s how to Make it Happen for 2013 zone. This is where you nut out and fine tune your strategies for success! Bearing in mind your values and practical realities, figure out your, bearing in mind your values and practical realities, possible pathways to achieving your dreams and more! As you enter your Map-My-Year Zone, feel into freedom and soar on your own wings, so that you can fly into your fullest potential in the coming year. William Arthur Ward “If you can imagine it, you can achieve it; if you can dream it, you can become it”.